Talking Point: How Much Fan Influence Should Game Studios Allow? There was a time not too long ago when the origins of the games we play were somewhat mysterious. We knew the company names and could view credit sequences until the cows came home and magazine readers could gain some extra insight, but by and large the thought processes, discarded ideas and development stages that went into the creation of those virtual worlds were a mystery. Just think of 1997's GoldenEye 007. The developers originally planned to include a weapon called the Spyder, as well as an option to control previous Bonds in multiplayer, facts that emerged when screenshot slips, instruction manual oversights and Gameshark hacks brought them to light. The gaming community experienced quite a thrill at these discoveries, not only because they unlocked some hidden data but because they caught a glimpse of some features that did not make it into the finished product. Like an unearthed first draft of a literary work or a deleted scene on a DVD, we caught a glimpse of the somewhat clandestine process of game design. Almost 15 years have passed since then, and the landscape has changed immensely. Sites like ours offer fans a place to speak out and share ideas at a rapid pace, and sometimes developers pay attention. A few even join as users to open a dialogue, asking players what they would have done differently and using that advice to influence their creative processes. Some even take this a step further – Bplus is currently soliciting feedback to influence the development of its future eShop titles, for example. But there's no denying that a divide still exists between smaller developers and larger companies. If Shigeru Miyamoto asked the fans what they thought of a beta version of Super Mario 3D Land, less would likely head to the forums than would ask if he's succumbed to a mental disorder. We're currently living in the wake of two fan-centred events that aptly demonstrate the difficulty in hearing the voice of Joe Averagegamer. 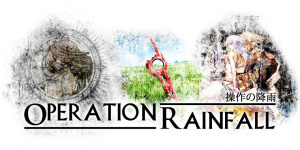 The first is the beginning of Operation: Rainfall, a series of letter-writing campaigns and Internet-based protests designed to make Nintendo of America aware that the fan base for Xenoblade Chronicles, The Last Story and Pandora's Tower is large and passionate enough to make the games' release in North America worthwhile. After about two months, however, little seems to have changed, NOA only stating that European sales will determine America's chances. Nintendo is a business, of course, so it's hard to blame it for wanting to turn a profit, and the 3DS's poor performance at sales further decreases its wiggle room for market experimentation. However, another difference divides Nintendo and the independent developers who might prove more likely to lend fans an ear – the Big N is called "big" for a reason, and that's because poor sales don't mean that closing their doors is anywhere near inevitable. Bplus is using its forums to solicit feedback, but is that a viable option for larger companies? And then there's Mega Man Legends 3. 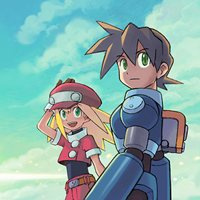 From the beginning, Capcom said that it wanted to involve fans in its development more so than ever before, opening an online Devroom to encourage fan interaction and idea formation, and planning to release Mega Man Legends 3: Prototype Version simultaneously with the 3DS eShop to showcase an early build and receive even more feedback. But while this may have taken place on a larger scale than ever seen in the past, the publisher's methods of gauging fan interest certainly were not – after participation in the Devroom failed to garner enough widespread interest, Capcom cancelled the entire project. Fan outrage predictably followed, but should we trace it back to nearsighted publishers too used to the old ways or a development process that was too openly visible in the first place? 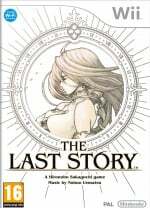 Arguing for the former is the fact that only a small segment of the population was involved at this point – the difference between those who might have bought the game and those who were up to date with gaming publications and websites enough to even know about the Devroom was quite large. If Capcom had more widely advertised its existence or looked at how many downloaded the eShop beta version to gauge their prospects instead, the game's fate could look quite different today. On the other hand, titles see cancellation all the time, and perhaps if this one hadn't seen such a media presence in the first place – it was revealed that Capcom hadn't even greenlit it until long after its existence was publicised in press release format, for example – then it could have ended up as another project that no one even knew about, just like so many others. No one can mourn a game's death if no one knew it even had a chance at life. Mega Man Legends 3: Was its fate down to apathy or a mercy killing? This brings another fact to light – even if a developer finds a way to seamlessly interact with its fans via the Internet, those that can and will do so make up only a segment of those who might purchase the final product. The problem isn't that companies don't know that gamers are out there to solicit their feedback, it's that now they have a choice to obtain it much more easily – but if most customers aren't going to use the 'net anyway, it makes the point moot. But that may not be entirely true as the widespread mentality has changed: people no longer see gaming companies as inaccessible ivory towers, they know that development can work as a two-way street. Companies now have the option to advertise this connectivity to those who wouldn't know about it otherwise – there are still TV commercials, billboards and viral marketing campaigns of which to take advantage, and this can apply to websites for idea soliciting just as well as the final product. But is it worth it? Would enough of the gaming community stand up and decide to make their voice heard if they had the option, or would they instead happily consume a product regardless of their input? It's worked that way for decades – changing landscape or not, why shouldn't it continue in this fashion? If more and better opportunities to have your voice heard by gaming studios existed, would you utilise them? Was the Mega Man Legends 3 Devroom a step in the right direction that was cut down too soon, or was it a too-visible failed experiment that Capcom simply had to make the hard decision to end? Is the divide between small and large developers reducible mostly to mentality? What do you think are viable, possibly untapped ways that these companies could interact with fans to influence game development? Or should they even try? Voice your comments below! The Mega Man Legends 3 Devroom was a great idea, but Capcom lost interest because Inafume's help was gone and were too busy working on five more rehashes of their previous games. If No More Heroes 2: Desperate Struggle is any indication, I say fans should have zero influence. They should have very little or no influence. most of the time fans think they want something when they really don't. I think that the developers know best in most cases, and actually taking any larger amount of fan influence would just cost a lot of money and time. However, I wouldn't mind if Nintendo would let the fans decide which character that appears in the next Mario Kart, for example. That's a detail which doesn't really make any difference to developers, but would please the fans. I think that fans should have a lot of influence over games. Fans give input, developers include it, fans buy game, developers get money so they can make better games. Obviously, there are some problems about this. Just like the Megaman Legends situation, if something happens and the game gets canceled or altered, everyone gets all angry and mobs the studio. I think that fans should only have influence on the later half of the development cycle so that it's more probable that nothing major will be changed. Companies can't always please fans. Letting fans decide on what goes into a game shouldn't happen, as usually fans want something that isn't true to the game. Ask 10 people to choose one aspect they want in a game series and I'm pretty sure you'll get 10 different answers. That's why fans shouldn't make the call. Yes, sometimes a publisher will make mistake that would have been "seen" if fans had input. But I prefer that they have their own little isolation for games. Example: Wind Waker. Everyone I knew at the time it was first shown hated the art style. I personally wasn't sold at the time. Nintendo stuck with it. It's now, IMO, one of the best looking (and fun) games in the Zelda series. Between two worse cases, I'd rather a publisher do what they want and the game fail then opening too much info to the public. The problem with Fans is, that they are not qualified but quantified opinions. I'd really like to see a Zelda with a Future or present day setting, or a HD Mario with a realistic art style, but many fans are just turned off by the idea. If Nintendo would ever like to risk such a step, they can only convince the mass if they don't show anything of it before they are 80% done. (And other than SONIC THE HEDGEHOG and Bomberman Act zero I think that those concepts could work if Nintendo is behind it). I think the major problem with MML3 is that they didn't release the Prototype. Only die-hard fans registered, which is okay for the first steps in development. But I guess if they released the prototype with a link to the devroom, they would have had the chance to attract gamers which are totally new to the series to join the devroom. No More Heroes 2 was a disaster compared to 1, but that wasn't because of "fan influence". It was mainly because almost, if not all of the bosses from 2 were lame compared to the bosses from 1 (plus retro games were boring, training too difficult, and no world map travel made the game feel empty). Some of the bosses were super hyped like duel lightsaber flute girl but she ending up sucking with slow bobble blowing and slow movement and slow flailing attacks that weren't cool at all. I'm not a huge fan of "fans making the game (like Legends 3)", I like to be surprised, but I'm okay with "fans giving opinions and feedback". I think it's pretty screwed up when mullions of fans say "we'll buy this" and the company says "we don't trust, all you customers are full of crap, and FU". No input from fans but please, make sure the game is playable and not broken. Don't let the fans decide stuff. It is inevitable for there to be something somebody doesn't like in a game, and the more you let people change a game, the more other people won't like it. Just let it be. It depends on a lot of things. I struggle with this in my film projects as well. There are certain elements of a complex creative process that a client (or 'fan') will think they want or think is 'cool' without realizing that there are logistical reasons for not including everything because it seems cool. thats true with games as well. Not every game benefits from online multiplayer or 40 playable characters. When you have to deal with compression limits, a limit of moving sprites, whatever technical limits, as well as balancing mood and pacing of a story, all kinds of things; it just gets convaluted in a way that only an experienced developer may know how to judge well. on the other hand sometimes being so close to a project can also make it hard to really step back and play something and figure out if it's just fun or not. theres got to be a balance. Some good play testing from a range of people should be enough, though; I'm not sure a massive fan forum or Beta game is neccasary. Sometimes I wonder if even that happens. Theres no excuse for broken stuff like that Wii transformers game that could have been cool. A camera and character controlled by the same motion... really?! how could that kind of thing get to market unless no one played it at all? I think there is a magic number somewhere, but it hasn't been found yet. Game companies, remember, you're making games for the fans, not for yourselves. However, you are the professionals, so you'll have a better idea of the bigger picture. I think it's an 80-20 pros-fans scale. I know a very simple solution for Mega Man Legends 3 and the Operation Rainfall games issues. Ready? Just have customers preorder the titles online, paid in full, upfront and direct to Nintendo and Capcom. You can call it the Ambassador Edition, add a shiny cover and toss their names into the credits (who wouldn't think that's cool?). This will fail only if the demand for these titles aren't as great as the vocal fans on the internet makes them seem. ...but what if you don't have the money? Then you don't count. How else would you buy it in the critical period in retail anyways? Polls are a perfect way to gain proper input. EA has had polls for some of their sports titles to help decide characters and boxart covers. I loved the idea that EA wanted consumers to decide what characters were going to appear in NBA Jam using polls! 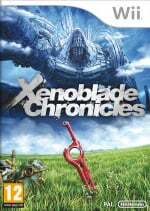 I really hope Xenoblade will get decent sales. Even if its the worst time of the season i mean its dead season till 10th of September. Smaller shops even close for few days during mid-August in Southern Europe. By the way: Sony of Japan is continuing a series of surveys at the japanese PlayStation Vita community site. They opened a question asking readers what peripherals they want for the platform. Will Nintendo do something similar or they only care about low sales? Fans have so many varying views that listening to them would probably cause too much chaos and confusion. And if the devs don't want to use an idea fans like, it'll turn into a mess. I'm mainly against the idea of fan's having such a big input in games but it would be cool if for the next Smash Bros, they did like a poll of which characters fans would like to see make it into the game. I think that kind of fan input would work. No, beta's and maybe a few polls here and there are good, but fans shouldn't dictate the outcome of the game. Having the fans pick what happens stifles artistic freedom, and you should distance yourself a little from your fan-base or you'll go insane. 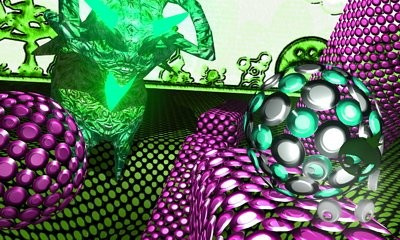 If Nintendo listened to it's fans they would have canceled Wind Waker and gone with the Space World 2000 visuals. 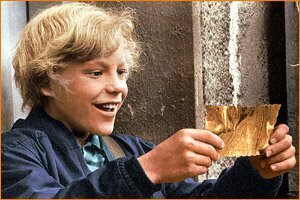 I didn't participate in the MML3 devroom not because I wasn't interested, but because I like to be surprised by a game. I've realized that I enjoy games much more when I only know a little about them going in versus sucking up every little detail like I use to in the past. About the only input fans should have would be what characters are in games like Smash Bros or Mario Kart, anything else, half the time the devs listen to someone that wants something that almost no one else wants, & before long the game is broken because they are listening to too many people. @11. daznsaz & others who say to just let the developers do whatever they want and fans should be completely ignored. I would agree with you if developers actually had complete freedom in their development of games, but that fact is most-many games have the game companies telling the developers who work for them to create games in certain ways that they think will be more profitable. Like how every shooter now is a Call of Duty clone, you have game companies seeing that each and every single Call of Duty game break a worldwide sales record, and demanding their developers make all their games similar to Call of Duty in hopes of having similar sales, or at least guaranteed returns. From the point of view of game companies, this is the only guaranteed way you can tell what will sell. And so creativity and happy costumers takes a back seat to guaranteed profit. Fan input is important in letting not just developers, but the companies they work for, know that people DO want new content and originality, and not to make each game exactly like the last because "that one sold". The only influence I think would be universally good is polling to choose characters in stuff like Smash Bros.
One shouldn't depend on fans too much. In fact, one shouldn't depend on fans at all. It's nice to listen to the fans, but it should only influence if the ideas and input is amazing... a lot of people think fan-input is grand and amazing, but fact is you will go through tons and tons of crud ideas, and several great ideas that can't be done realistically (either price or time) or done thematically (may as well be new games). ...add in the fact that if spent too much time for and most of the fans don't even pay for it on release: It usually isn't worth it. The problem is that fans can't agree with each other. They like to argue, whine, and complain. Minor polls are a good idea. In depth development decisions are a bad one. 1. Don't forget Operation Moonfall. 2. 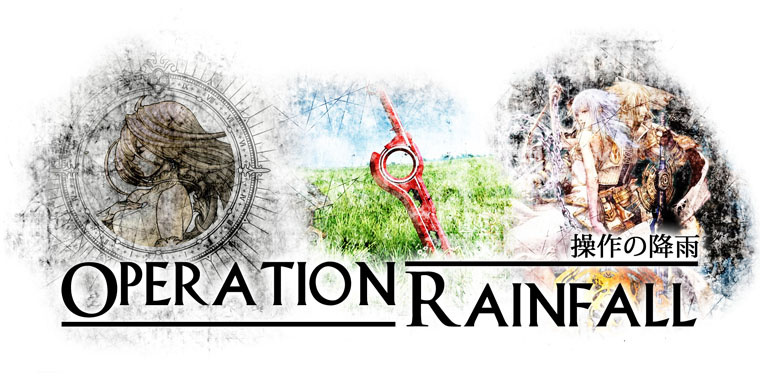 I really think that when the time comes, Beyond the Labyrinth will be added to Operation Rainfall. 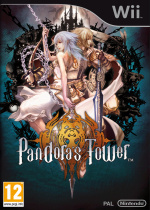 I so hope that Beyond the Labyrinth does get localized. On which games series they should consider producing? Lots. They should gauge the fan interest in what kind of pie to bake, not what kind of apples to bake into the pie. @DarkKirby Maybe fans aren't to blame for neutering NMH2, but the developers are listening to fan feedback. Feedback can be a good thing. It just wasn't in the case of No More Heroes. @kkslider5552000 I'm glad you enjoyed the new mini games and classic controller support. For many gamers NMH2 was a disappointment compared to what made the original so great. I think Nintendo at least should be open to listen to fans. After getting the same input for virtual console for wii and the dsi shop, maybe time for listening? Don't get me wrong I love the eshop. But for me it doesn't make sense to just give out one game for it a week, and it seems to be some time between every good game. I think they should by now have released maybe one or two game boy color game and a few more real good games there, because clearly they haven't got enough good games out there yet for people to justify a purshase..
Mod support and an open mind is all Devs need. I think developers should be open to ideas from fans, as new perspectives helps keep games from getting stale. Whether or not they use the ideas is up to them, after all, they develop the games; but input could still be beneficial and influence some aspects of the game positively. i think it depends of the project. an eshop title could be a good opportunity to involve fans, but i wouldnt see this happen on a larger scale game. it can only lead to broken things. but the megaman legend 3 idea was innovative and simply fantastic. its a shame it was left behind. im sure they would have gotten much more fans than they thought. and new ones too. Just keep a part of your game open to user content, like maps, plugins,skins,or whatever. this gives your game much more lifespan, and makes it much more memorable in the end. Some games gave me more years of playing just because of that. Capcom should have waited for the Beta download to gauge interest. I know some people would want to be involved in the developement process but I personally was just going to buy it without going to the devroom.Many people could have planned to buy the game withotu taking part in the devroom and I think using only the devroom was a poor way to guage interest and whether or not it was worth putting out. If a project interested me and the opportunity to have actual input arose. I would definitely share my ideas and thoughts. I'm somebody who can type an essay of ideas if the need arises and I feel passionate enough. Okay, keeping my comment short since this article will most likely be gone from the front page in no time. I think Nintendo has the best framework with their Club Nintendo surveys. It feels great to get a little reward for answering these questions. They should include surveys for European eShop / VC downloads and re-add a section where you can freely voice your opinion about the systems themselves or whatever else comes to your mind. And they could do surveys for stuff they're unsure about or that you haven’t bought yet. Aside from that companies should follow or take part in news-sites and forums. There are some great ideas to be found here. And giving away prizes is always a good way to motivate the help of fans. The idea for a voting on a character that goes into a game like Mario Kart, Smash Bros. or Mario & Sonic is good. They could also use it to see how big the interest in a certain franchise is. Was my problem as well. @Ren (14. ): Depends on the game. MMORPG’s and ORTS games need huge beta tests in my opinion. @sykotek (17. ): Not a bad idea. Could work. Talk to Blizzard about this.